Spring is definitely in the air (while wearing my new white Paige Nellie Utility Jeans that I’m beyond obsessed with), and as to be expected with any seasonal transition, I’m also thinking about the skincare and makeup I need for the coming months. 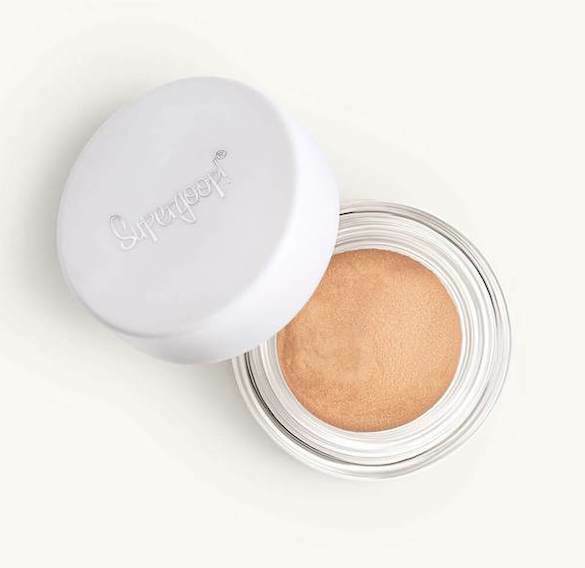 One product that recently caught my eye melds both, and I bet you don’t have anything like Supergoop’s Shimmershade Eyeshadow in your makeup bag (and anywhere else in your bathroom for that matter). With four shades that deliver a light wash of shimmery color plus broad-spectrum SPF 30, where has this been all of my life? I’m the first to admit I usually avoid my eyelids when slathering sunscreen all over my face (to avoid irritation or getting in my eyes), and I have a sneaking suspicion this eyelid neglect is going to result in plastic surgery at some point down the line. I haven’t tried it—yet—but if the long-wear, crease-free, apply-with-your-fingers formula is as good as it sounds, you better believe this will become my daily go-to—especially when I’m zipping around town with the top down!